We recently had to do some updates on the Bluelinejobs website. The Bluelinejobs project is a web portal for people who work in and around the police force. It offers a full job portal with the ability to register and apply for roles within the industry. 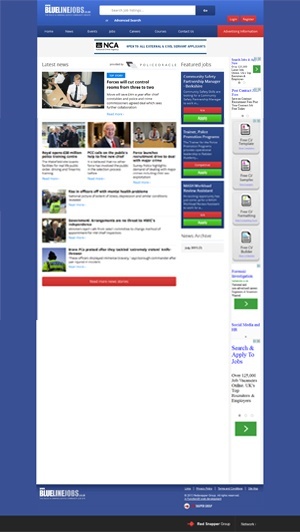 It also offers a direct newsfeed from the police Oracle website, giving the user all the information required to be up to date.